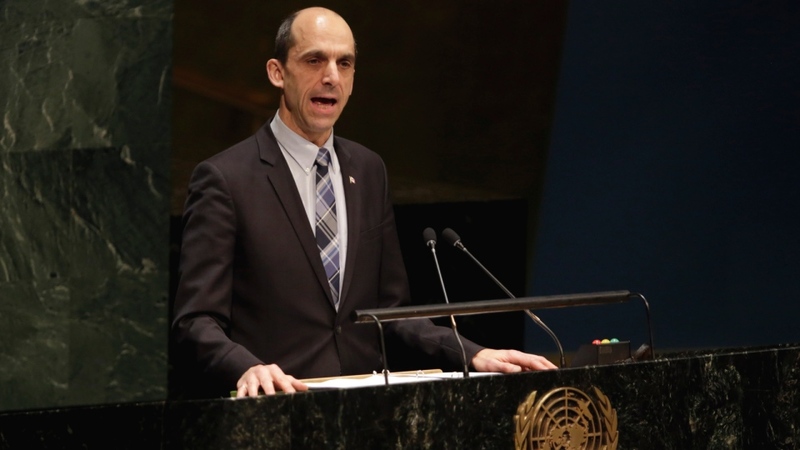 Public Safety Minister Steven Blaney told the UN General Assembly that anti-Semitism is on the rise worldwide, as he reaffirmed Canada's commitment to fighting anti-Semitism and promised a "zero-tolerance approach" for any attempts to delegitimize the state of Israel. The informal meeting was convened in New York to address concerns of rising anti-Semitism. "The latest example was the anti-Semitic attack on a kosher supermarket in Paris that occurred on the heels of the horrific jihadist terror attack on Charlie Hebdo journalists,” he said. The minister said such attacks are aimed at freedom of expression, democracy, and our way of life. 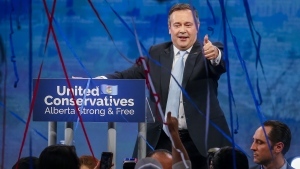 They are also part of the reason why Canada is committed to fighting terrorism, and has joined the U.S.-led coalition in the fight against ISIS, he said. "The world will not be destroyed by those who do evil, but by those who watch and do nothing," he said in French. He also noted Canada's past commitments to fighting anti-Semitism, including the signing of the Ottawa Protocol on Combating Anti-Semitism in 2010. "Canada has taken a zero-tolerance approach to anti-Semitism and all forms of discrimination including rhetoric towards Israel, and attempts to delegitimize Israel such as the Boycott, Divestment and Sanctions movement," Blaney said. The minister visited Paris days after the deadly attacks on the Charlie Hebdo office and the kosher market. He laid a wreath at the headquarters of the satirical newspaper, and later represented Canada at a massive unity rally in the heart of the French capital. At the time, Blaney said CSIS agents were working with French security agencies, sharing information and technical expertise.